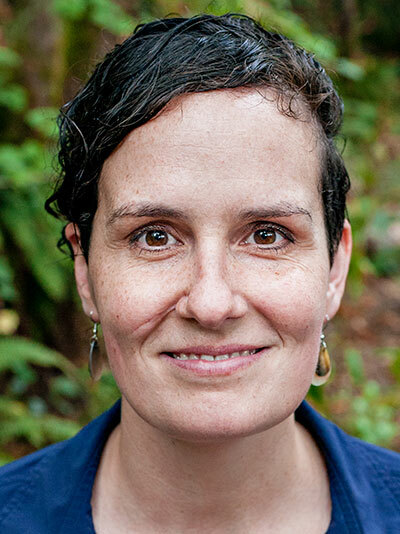 Celeste Jones is an assistant professor of clinical psychology at George Fox University and a board-certified, licensed psychologist who specializes in working with children with Autism Spectrum Disorder and their families. Her research interests are in the broad areas of adversity and resilience in children and families, and in diversity populations. Jones also serves in state leadership, as chair of the Oregon Psychological Association Public Education Committee. Jones holds doctorate and master’s degrees in clinical psychology from George Fox’s Graduate School of Clinical Psychology and a bachelor’s degree in psychology from Oregon State University. Her board certification is with the American Board of Clinical Child and Adolescent Psychology. Additionally, Jones completed a postdoctoral fellowship at Oregon Health & Science University’s Child Development and Rehabilitation Center, specializing in the evaluation and treatment of children with autism spectrum disorder and related disorders. Jones also completed an American Psychological Association-accredited internship in clinical child and adolescent psychology at Children’s Mercy Hospitals and Clinics in Kansas City, Missouri.